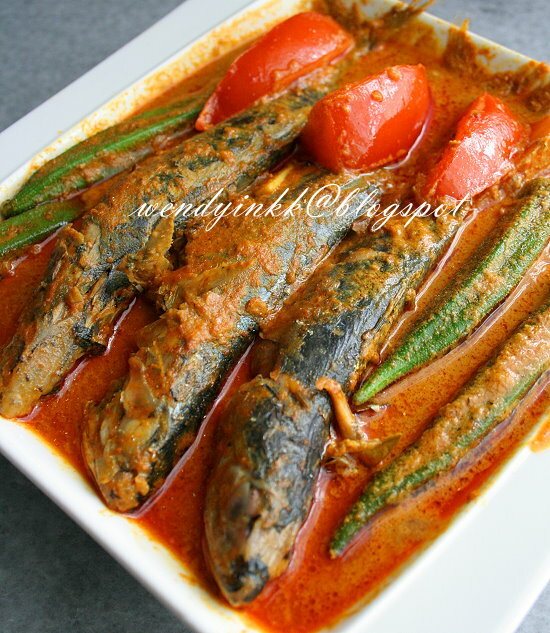 Ikan kembung (kembong) is the name known to many. 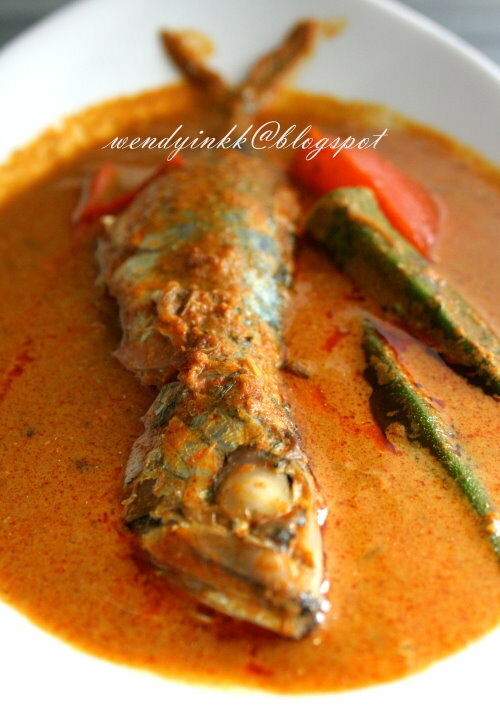 In Kedah, it is known as ikan temenung, and fondly loved by people of the state. It used to be cheap when I was young, but not anymore. It's quite pricey nowadays. Usually I eat slightly larger fishes because I'm lazy to go through the bones, hehehe. 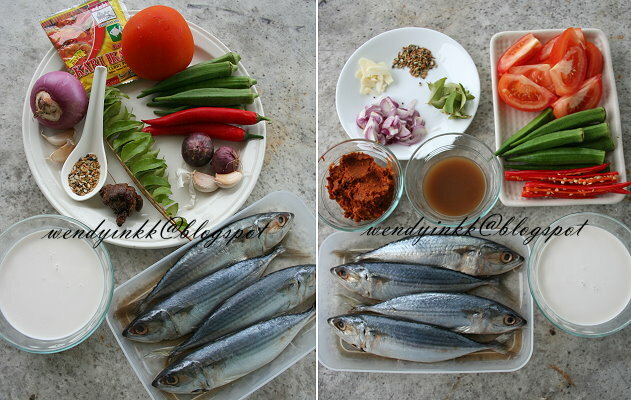 left: pre-prep, right: prepared and ready to cook! 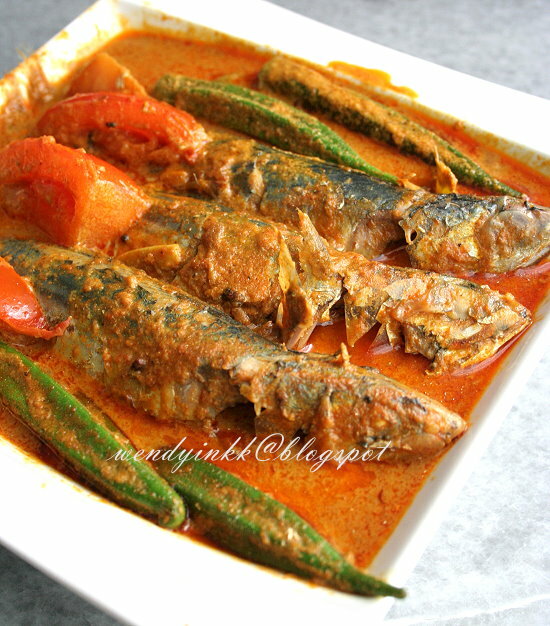 ﻿ In the northern states, curry is known as gulai. And this dish in particular is popular in Kuala Kedah. It is eaten for breakfast. Yes, you didn't read wrongly, it's breakfast. Served with white rice, sambal belacan and fresh local herbs (ulam), it makes a hearty breakfast that probably could keep you filled for many hours. Sold for only RM1 per fish (with gravy and all), it makes an affordable meal for all. I didn't make this for breakfast, instead it was for dinner. I had a few guests over and one of them enjoyed munching on the fish heads. 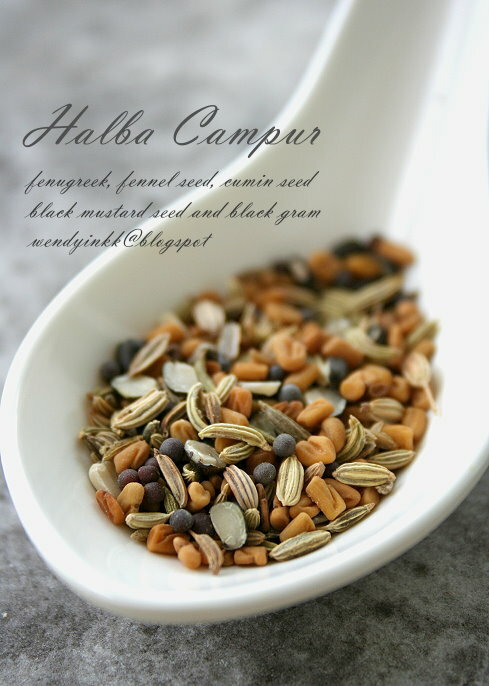 * a mix of fenugreek, black mustard seed, fennel, cumin and black gram. 1. Prepare B. Grind onion and garlic to a fine paste, mix with fish curry powder, set aside. 2. Heat wok and put in 3 Tbsp oil. On medium heat, saute (A) until golden. 3. Put in (B) and turn heat to medium low and sauté until very fragrant. Be slow and steady. 4. Put in 1/3 of coconut milk and cook until you see some oil oozing, then add tamarind juice and water. Bring to a boil. 5. Put in balance of coconut milk and season with salt. Bring back to a boil. 6. Put in fish and all the vegetables around it. Do not move it too much. 7. Cook for about 5 minutes or until fish cooks. must be delicious with all that mixed spices in. And btw, what is black gram? I've never come across this. Yea, what is black gram? Is it the black dhall? 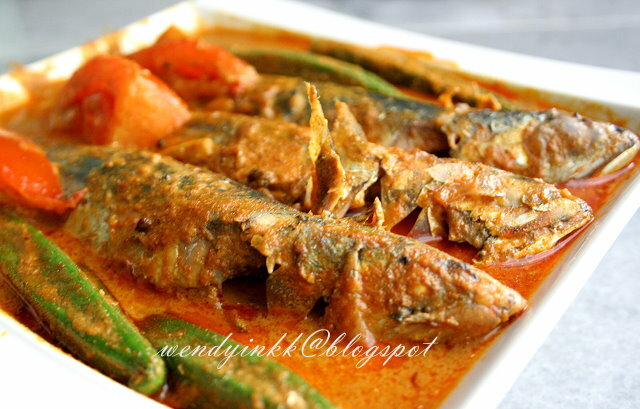 The fish curry looks delicious. Black gram is used to make Thosai too. Why so expensive hoh? I also dunno. hai.. i come here again..
to see the kari ikan temenung..
Wendy, I am salivating just looking at your dish. I loved ikan kembung and hasn't had it for ages! Lovely colour too!